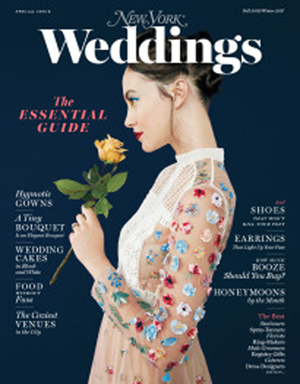 Make your wedding unique to your wishes – your personality is the cue. Stan Wiest takes all the stress and worry out of your wedding. Stan Wiest, member New York and National Association of Bridal Consultants, will help you, guide you and work with you to enable you to create a care free magical wedding of your dreams within your budget for wedding ceremonies and receptions in New York, New York City, Long Island,Connecticut and New Jersey. The Stan Wiest Orchestra Band is for the client looking to make her wedding special and elegant. 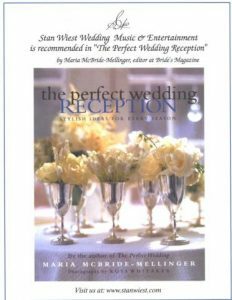 Brides and grooms who are looking to make a statement with their wedding and seek a very personalized service for the reception elegantly customized to their wishes are recommended for the Stan Wiest Orchestra Band. Parents who want a band are now more willing to help out with the costs of the music. This now enables everyone attending the wedding to say “My kind of music was performed” regardless of the age group. No age group is excluded and it guaranteed a packed dance floor. STAN WIEST Keyboards -Synthesizers and Vocals. A special custom built keyboard sounds exactly like a Steinway Grand Piano. It is connected to a technology cabinet containing the brains of 9 synthesizers- operated by 9 foot pedals under the keyboard – for a tremendous array of sounds and orchestrations from the full and rich BIG BAND SWING and SOCIETY SWING to FIFTIES -MOTOWN -DISCO-CLASSIC ROCK and CURRENT DANCE MUSIC. Stan sings in several languages including Italian and Spanish. Former classical and jazz concert pianist Stan Wiest has led the orchestras and performed for many well known celebrities. Cathy -Female Vocalist -with a tremendous voice range and warm personality -performs everything from Barbara Streisand, Celine Dion, Aretha Franklin to Christine Aguilera, Faith Hill and Jennifer Lopez. All standard and current duets performed with Stan Wiest. Cathy uses a wireless microphone. Dear Stan, We would like to Thank you and your band for a performance well done. You were so very helpful to us before the wedding. I remember when you said, “Anything you ask, before you even ask, the answer is yes.” I wanted to plan my wedding myself and at times I felt a little overwhelmed but with your help KI got it all done and I didn’t really need a wedding planner. Your experience and professionalism helped to guide us through it all. You really lightened the load for us; from our music choices to guiding us to the many vendors you had seen firsthand. We were so happy with everything and were extremely pleased with the florist you recommended. Even when we threw you a few last minute curve balls with the Intros, nobody could tell it wasn’t planned all along. You played everything we asked for and everybody danced throughout the evening. All night long the volume was just right. I can’t imagine what it would have been without you. If it wasn’t for my Rolls Royce Limo getting a flat on the way to the church. causing me to be 45 minutes late, we would have no funny stories to tell our children. Thank you again for making our wedding an unforgettably special day. Dear Stan,In all my years of going to weddings I have never seen such a performance as the one you displayed. Now being the bride at my own wedding I truly want to thank your entire band for giving us that personal touch, with added sophistication, ambiance and elegance. In the planning process we spoke of how we wanted the wedding to go. And it was 100% as you had explained it would be. From beginning to end everyone had a fabulous time. I absolutely loved that you were able to play the Titanic theme song in the temple – it really made my day. My husband and I hardly took our seats the entire evening. Not a worry, care, or complaint in the world popped into our heads. We were dancing the night away enjoying being Mr. & Mrs. Lawrence for the first time of our lives!!! You had everything under control and played to the very last minute. In the end we found ourselves dancing a half hour to you alone. That really meant a lot to us. Bravo for the incredible performance. Esther and I are sending this letter to thank you and let you know how thrilled we were at the way you and your orchestra performed at our daughter, Holly, and our son-in-law, Bill Hub’s wedding at Flowerfield.Our choice of an orchestra couldn’t have been more perfect. It was everything, and more, than you promised and what we expected.The musical selections were ideal and it certainly went a long way in creating such a festive atmosphere at the reception. Our guests were constantly up and dancing.I can’t tell you how many of our guests called us following the reception to compliment us about the wedding. We just wanted to drop you a quick note to tell you how fantastic your band was at our September 26th wedding. Everyone was commenting on you guys! The Greek music, Italian music and dance music were wonderful, as we had a full dance floor all evening! We keep on receiving compliments from everyone on the music…..thank you so much for making our wedding day even more special! Thank you one again for your performance at our wedding. Both Patty and I were pleased with everything. In fact, Patty noted that during the cake cutting you played our ” song’ (Bryan Adams) For us, you were the perfect band to play at our wedding.You played everything patty wanted and what we did not want. I know you took breaks, but I don’t remember them, it seemed like you played live continuously. You certainly played to the type of audience we had.Patty liked the disco you did. We also like the ceremony and cocktail hour music.My family friend’s wedding is coming up. Twilight Symphony Band – New York wedding band wedding orchestra and party entertainment musicians based on Long Island. Available for wedding receptions in New York, Long Island , Westchester, New Jersey, Connecticut and New York City. John W Orchestra – New York wedding band wedding orchestra and party entertainment musicians based in New York City. Available for wedding receptions in New York, Long Island, Westchester, New Jersey, Connecticut and New York City. The Jasonites Band – New York Steel Drum Reggae Calypso Caribbean wedding band and party entertainment musicians based in New York City. Available for wedding receptions, corporate functions and entertainment events in New York, Long Island,Westchester, New Jersey, Connecticut and New York City. Broadway Overture Band -New York wedding band wedding orchestra and party entertainment musicians based on Long Island. 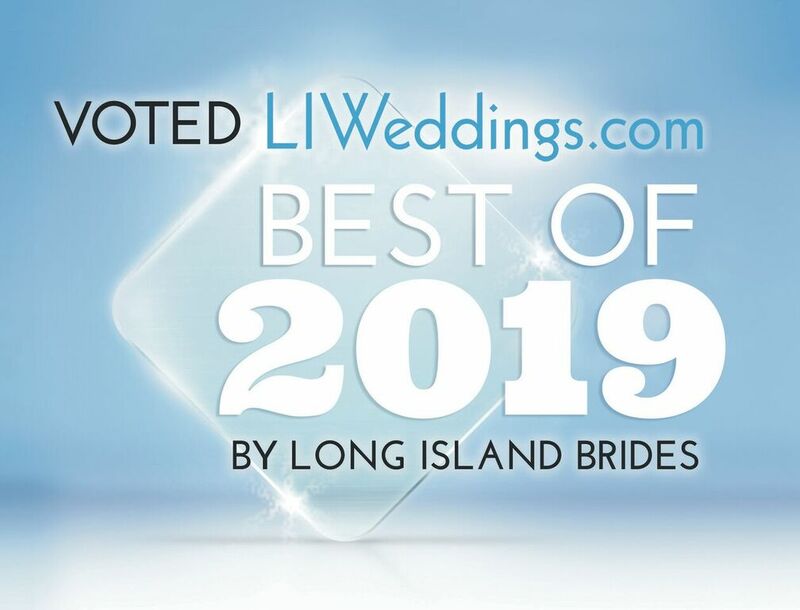 Available for wedding receptions in New York, Long Island,Westchester, New Jersey, Connecticut and New York City. .El Mariachi Band – New York Mariachi Mexican wedding band and party entertainment musicians based in New York City. Available for wedding receptions, corporate functions and entertainment events in New York, Long Island,Westchester, New Jersey, Connecticut and New York City. Jon Silva Orquestra – New York Salsa Latin wedding band wedding orchestra and party entertainment musicians based on Long Island. Available for wedding receptions, corporate functions and entertainment events in New York, Long Island,Westchester, New Jersey, Connecticut and New York City. AR Jazz Ensemble Band – New York Jazz wedding band and party entertainment musicians based on Long Island. Available for wedding receptions , corporate functions and entertainment events in New York, Long Island,Westchester, New Jersey, Connecticut and New York City. 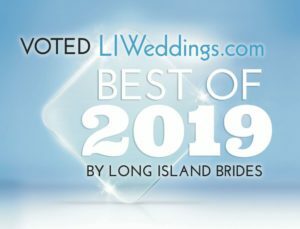 The Essex Chamber Ensemble Orchestra – New York wedding orchestra musicians based on Long Island. Available for wedding receptions , corporate functions and entertainment events in New York, Long Island,Westchester, New Jersey, Connecticut and New York City. High Country Band – New York country western wedding band and party entertainment musicians based on Long Island. Available for wedding receptions and corporate functions and entertainment events in New York, Long Island, Westchester, New Jersey, Connecticut and New York City. The Dixie Cats Band – New York Banjo Dixieland wedding band and party entertainment musicians band based on Long Island. Available for wedding receptions and corporate functions and entertainment events in New York, Long Island,Westchester, New Jersey, Connecticut and New York City. The Octoberites Band -New York Octoberfest German wedding band and party entertainment musicians band based in Westchester. Available for wedding receptions and corporate functions and entertainment events in New York, Long Island,Westchester, New Jersey, Connecticut and New York City.
. JOAN HAMBURG -WOR AM RADIO PERSONALITY IN NEW YORK RECOMMENDS STAN WIEST MUSICIn Her Book “City Weddings”Joan Hamburg says of STAN WIEST “With over 17 bands and orchestras working for him, Stan Wiest can get you the perfect music for your wedding, and, because he’s a member of the Association of Bridal Consultants, Wiest really understands the intricacies of wedding performances. The list of musicians he can get for you is enormous, since he handles everything from ballroom dance bands to steel drums, mariachi groups, bagpipers, bluegrass bands, classical groups, Greek bouzouki music, sitars, German Octoberfest, and even DJs. The success of a wedding is in direct proportion to the amount of preparationAnd care taken by the bride and groom and Stan Wiest – as well as the availability of Stan Wiest, his suggestions, planning and assistance whenever needed by the bride and groom.